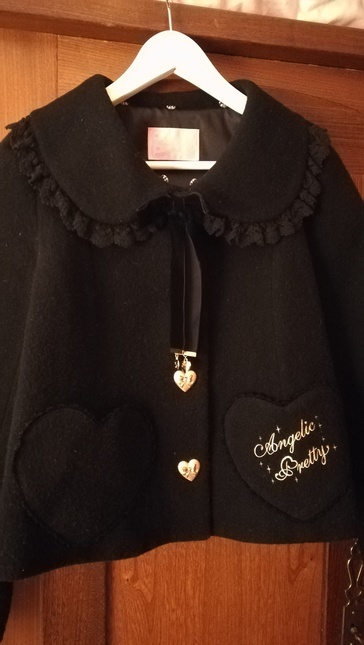 I'm selling my Angelic Pretty coat that I bought last year at the Angelic Pretty Paris store for 345 €. 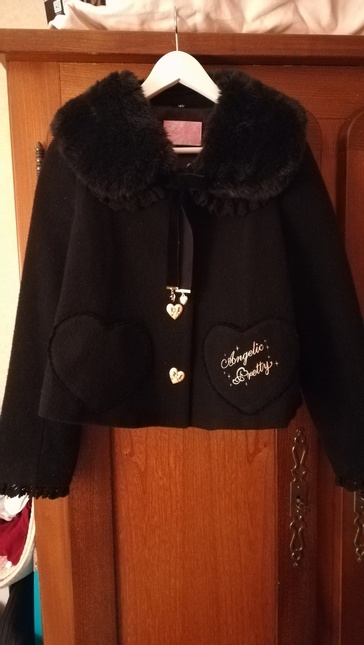 It's really pretty and well made but it did not match my wardrobe anymore so it's time to let it go ! 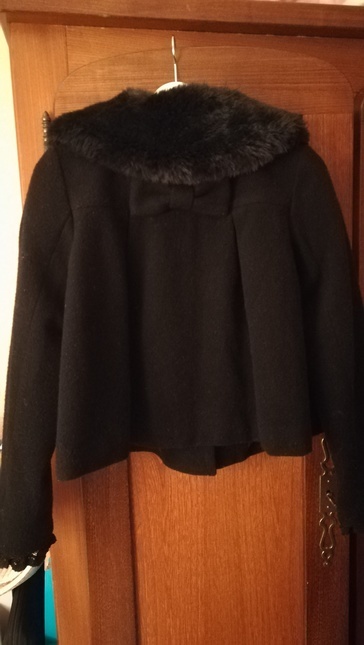 I wore it a few time but this coat still in perfect condition. 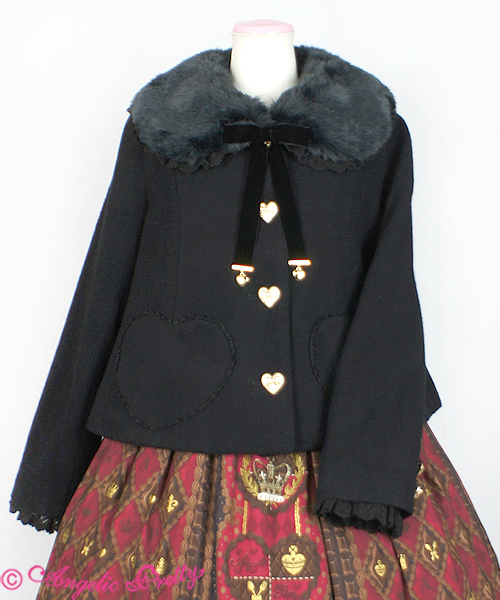 It's a short black coat with gold acents and a faux fur collar witch is detachable. 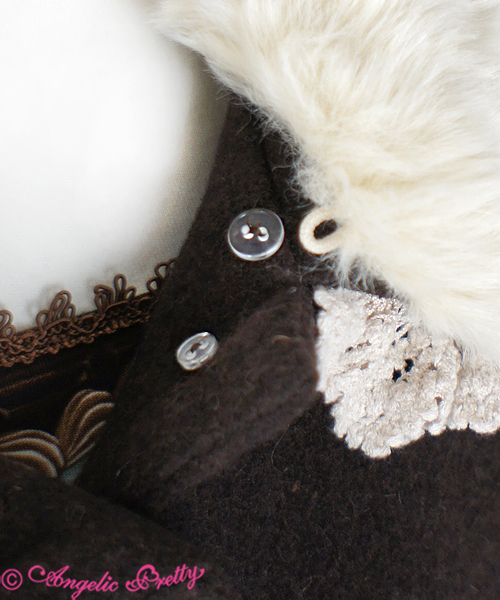 There is one loose button from the collar. 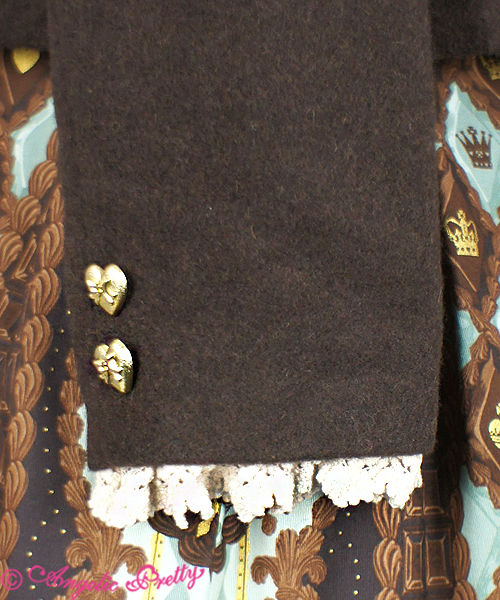 The cotton lace one the cuff are removable too !